Megan Huckabay Lapp, originally from Lethbridge, Alberta, Canada, completed her B.Mus. and B.Ed. at the University of Victoria, BC, studying piano with Arthur Rowe and voice with Susan Young. She completed her M.Mus. at the University of Washington in Seattle, studying choral conducting with Dr. Geoffrey Boers and voice with Joyce Guyer Wise. Inspired by the power of singing to unite communities and build confidence in young people, she has taught at the elementary, secondary and collegiate levels. Her favorite project was the creation of a musical for elementary students based on the Green Belt movement and the work of Nobel Prize Winner Wangari Maathai. With a strong commitment to life-long learning, Megan has completed a number of advanced programs. In 2004 she completed the Hugh Fraser Jazz Orchestra Program with special guest Kenny Wheeler. She has also completed the Accademia d’Amore Program (2009, Early Music and Opera). In 2009, Megan received a full scholarship to study at the Franz Liszt Academy Kodály Institute in Kécskémét, Hungary. She recently completed the Vancouver Early Music Compleat Singer program with a scholarship from Vancouver Early Music. During her time in Cleveland, OH, Megan studied voice with Ellen Hargis at Case Western University. She also sang with the professional early music ensemble, Quire Cleveland under the direction of Dr. Ross Duffin. 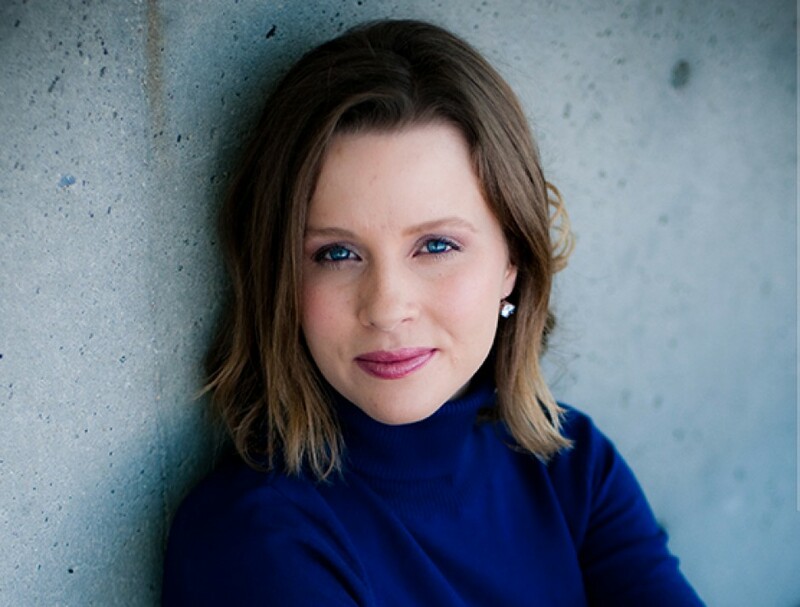 She has been a featured soloist with the Vancouver Cantata Singers (Vancouver, BC), Valley Festival Singers (Abbotsford, BC) and the Canada West Chamber Orchestra under the direction of Dr. Calvin Dyck. She has been featured on a number of CBC Radio broadcasts. Megan met her future husband while teaching at Dhahran Hills Elementary School at ARAMCO, Saudi Arabia. She currently lives with her family in Bend, OR where she enjoys being a mother to two small children. She sings in Bend Camerata, a collaborative vocal ensemble, and is the Artistic Director of Bend Vocal Artists. She also teaches voice and piano to students of all ages. In her spare time she loves to explore the beauty of Central Oregon’s lakes, mountains and rivers.